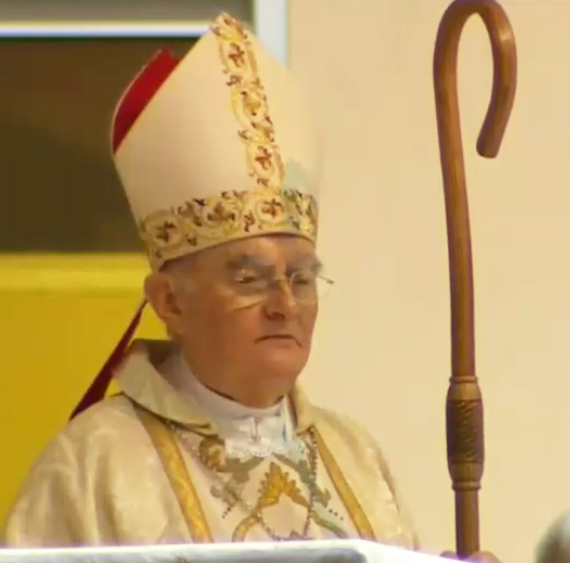 On July 22, 2018, Monsignor Henryk Hoser began his official role as Pope Francis’ Apostolic Visitor to Medjugorje by celebrating Holy Mass at St. James’ Church at 7 pm. The Lord speaks: “Woe to the shepherds who mislead and scatter the flock of my pasture.” The Holy Father, the Universal Shepherd of the Church, takes the words of the prophet as his own. He sends us there where people exist and live, there where the faithful gather together seeking the light of salvation. Now we can understand why the Holy Father has sent the Apostolic Visitor to Medjugorje. 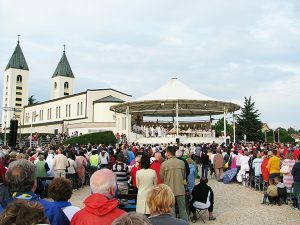 The pastoral care requires ensuring a stable and continuous accompaniment of the Parish Community of Medjugorje and of the Faithful who come here on pilgrimage. This mission equally concerns not only those who are far-off, but also those who are near. The latter has a double meaning. They are near because they have lived in this place and territory for generations. They are near because they are the Parishioners of Medjugorje. They are near also because for 37 years they have witnessed so many events in this region. Indeed this is a Christ-centered worship, because it takes its origin and effectiveness from Christ, finds its complete expression in Christ, and leads through Christ and the Spirit to the Father – as the Holy Father, Pope Paul VI, said. The Second Vatican Council strongly emphasizes that the various forms of devotion towards the Mother of God that the Church has approved, within the limits of wholesome and orthodox doctrine, have developed in harmonious subordination to the worship of Christ and have gravitated towards this worship as to their natural and necessary point of reference. This is what the devotion of the people in Medjugorje looks like. In the center is the Holy Mass, Adoration of the Most Blessed Sacrament, the Sacrament of Reconciliation, and all of this followed by other forms of devotion, the Rosary, and the Way of the Cross – which has turned what in the beginning used to be a trail of sharp stones, and made it into a smooth path. 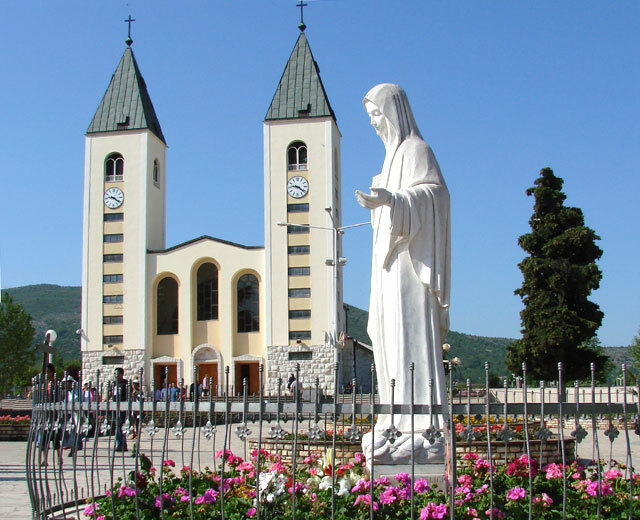 Medjugorje gives us both the time and the space of God’s grace, through the intercession of the Blessed Virgin Mary, the Mother of God and the Mother of the Church, whom here we honor as the Queen of Peace. This title is well known from the Litany of Loreto. I had a wonderful time and filled with blessings from Medjugorje. Thank you Jesus & Mother Mary for this invitation. 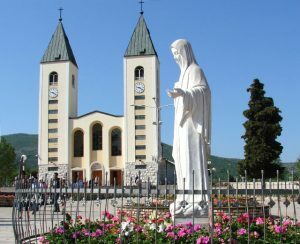 No doubt that I’ll bring my husband back to Medjugorje next time. As you said my mind still remember the many graces & blessings we had in Medjugorje. I’m really treasure every moments there. Talking about the nametag, of course I noticed that all our group members with a different message from our Blessed Mother. Mine is “Little children, may hope in a better tomorrow be always in your heart.” Our Lady Queen of Medjugorje Message 01/25/2015. We are all so blessed and will try our very best to share the joy, peace, love, prayerful heart, and many blessings with our friends & family. In fact I have shared my fruitful pilgrimage to my family & friends already upon arrival to Hong Kong. And also I remember the five stones from Medjugorje need to be followed and proceeded in my daily life. Praise be our Lord! & God bless to everyone! Having been a legionary during secondary school, I had always had a special connection with the Virgin Mary. We prayed the rosary in every meeting and were told to pray it as much as we could etc. but it was nowhere close to what I have experienced in Medjugorje. A few days before heading to Medjugorje, I was excited to see what I was going to get out from this place but I did not have a great deal of expectations. My knowledge about this place was minimal, where I did not even know much about the visionaries or that apparitions are still ongoing. I thought it was just another place where the Virgin Mary has once appeared. However, since the first day of my arrival, everything has gone so smoothly and I thought it must have been my calling to come here. As soon as I arrived, the group leader handed me a name tag with a message from our Lady, she said “Dear children, through love you will achieve everything, even what you think is impossible.” Immediately after that, I felt like our Lady had already answered my prayer. At that moment, I was buzzing with anticipation of what our Lady wanted me to do for her and to humbly take from this place. 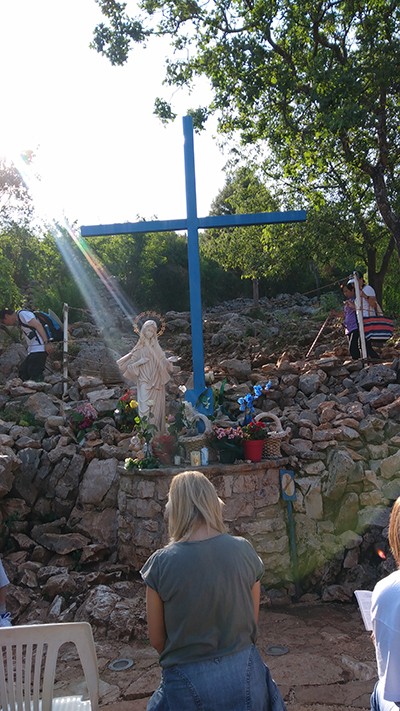 My first ever experience in Medjugorje was magnificent, it is like experiencing Heaven on Earth. I am so blessed to have this invitation from our Lady, and I thank God for that.